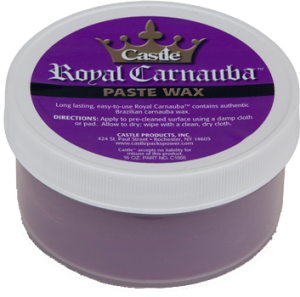 Castle® Royal Carnauba™ paste wax saves time because it can be applied to the entire job before being wiped off. It contains no clays or emulsifiers to inhibit the UV value and longevity. 1. Wash vehicle before waxing with Finger Lakes Spotless™ car wash and dry surface completely. 2. Using a soft, clean damp sponge or cloth, apply a light coat of wax to the entire surface. 3. Allow to dry and remove with a clean, dry terry cloth. 4. Paint should be free of oxidation. 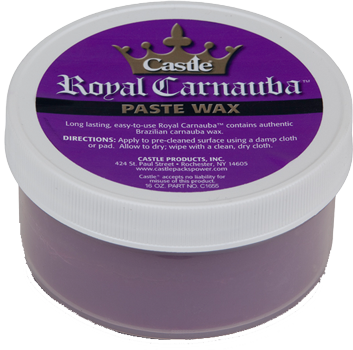 Newly painted surfaces should be waxed only after recommended curing period.